Our first entry intends to discuss carpet cleaning and to offer advice that offers value for our existing and potential clients. Cleaning carpets is a truly rewarding provision and we have built up a local reputation for delivering exceptional services both in the finish we achieve and the customer care we offer. Over time we have built up a vast knowledge of how to clean carpets and how to remove carpet stains. No two jobs are ever the same and this forms an enjoyable challenge for our skilled operatives. It is advised that all carpets should be professionally cleaned once every year; however there are varying factors such as level of use and whether shoes are worn on the carpet. This may mean that the carpets need cleaning more or less frequently. Our best advice would be to arrange a quotation; this will allow us the opportunity to provide you with information and advice and is provided with no obligation. What factors deteriorate your carpet? And this is just to mention a few. A carpet filters these contaminants, however a carpets ability to do this is not infinite. Once saturated these pollutants can cause health issues. 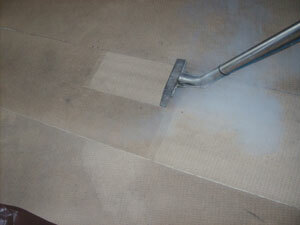 Regular carpet cleaning offers a cost-effective and valuable solution. We are time-served carpet cleaners and we serve the Buckinghamshire area. Demand for our services does take us further afield so we invite you to call today on 0300 088 2188. Other services we offer includes: upholstery cleaning and leather restoration.